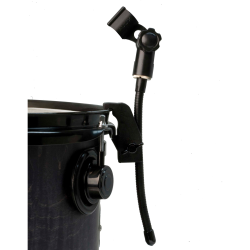 The Audix DVICE is a flexible mini-gooseneck mic mount that securely clamps onto a drum rim. The DVICE comes standard with all Audix D Series mic packs. Works perfectly with Audix D2, D4, F2, F4, and i5.